Janine Beckie and Nichelle Prince scored in the first half and Canada went on to beat Costa Rica 3-1 on Thursday night in the final game of the group stage at the CONCACAF women's World Cup qualifying tournament. 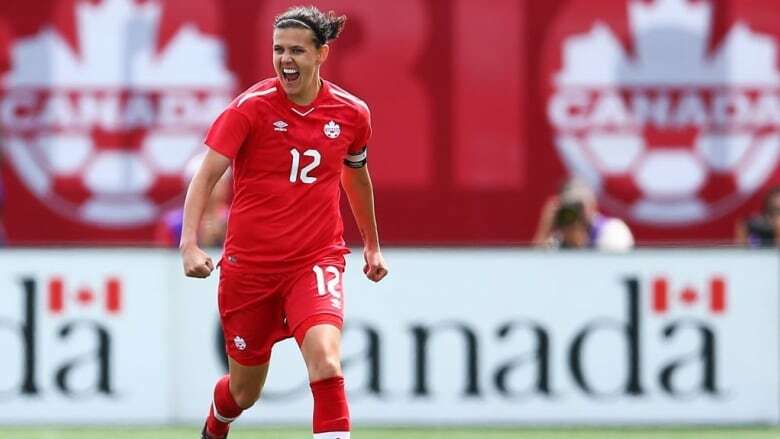 Canadian captain Christine Sinclair scored her 175th career goal in the 57th minute. Sinclair, who plays for the Portland Thorns, is closing in on Abby Wambach's record of 184 international goals. The result put Canada and Jamaica in the semifinals of the tournament, set for Sunday in Frisco, Texas. Jamaica, which has never been to a World Cup, defeated Cuba 9-0 in the earlier game at HEB Park. Costa Rica and Cuba were eliminated. Gloria Villalobos scored the lone goal for Costa Rica in the 72nd minute. Canada finished in first place in Group B and will face Panama in the semifinals in Frisco, Texas on Sunday. Jamaica has the daunting task of facing the top finisher in Group A, the top-ranked U.S. women's national team. The top three finishers in the tournament will earn CONCACAF's spots in the World Cup next year in France. The fourth-place team will meet Argentina in a playoff for a berth.